KINGSON Grizzly is massive welded frame construction to withstand extreme shock loads. These are basically conveying deck with pan and grizzly combination, back and side renewable liners. Grizzly Feeder is non-plugging and stepped grizzly, separately renewable, for material tilting and easy fines passing. 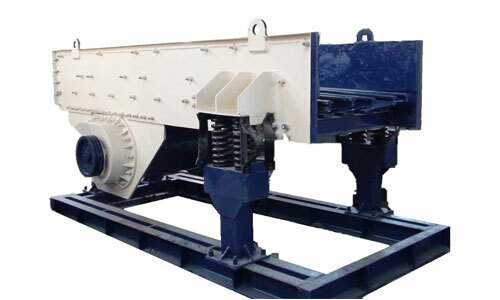 Vibrating using installed consists of two contra-rotating eccentric shafts, geared together in oil-bath. Setting of amplitude is affected at still machine by varying unbalance. Actuation is by 4-pole motor and V-belts drive. Special steel springs are arranged for the installation on concrete or steel supporting structure.